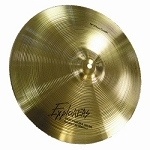 If you are looking for the best splash cymbal; shop at Explorers Percussion Store. We have the largest selection of splash cymbals online including Zildjian, Paiste, Sabian, Meinl, and more. The splash cymbal is the smallest cymbal in a drum set. Splash cymbal sizes range from 6" to 13" in diameter. The most popular size splash cymbal is the 10". Splash cymbals are accent cymbals for creating sound bursts. At Explorers Percussion Store in Kansas City we offer the largest selection of splash cymbals, crash cymbals, hi-hats, ride cymbals and more. 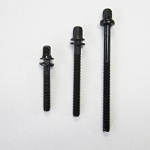 We carry everything you need in percussion from snare drums to tri-toms.